Wake up the body and mind with this energizing Hatha Flow practice that improves circulation, balance and mindfulness. Benefits include detoxifying, burning calories and building a stronger you. This all levels class is a great way to start your day! Start your day with a warm, energized body, and a new perspective. 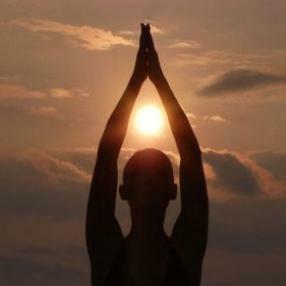 Live your life with meaning through the practices of yoga. A 60 minute basic yoga classes suitable for practitioners looking for a slow pace or those who are new to yoga. In each class we go through postures that will stretch and strengthen all areas of our body. Class involves work on the floor. Those needing chairs are welcome to attend. A wonderful all levels class incorporating basic yoga postures, breath work and ends with relaxation. Suitable for all levels. Many options and modifications are offered to meet a variety of practitioners. An emphasis on the energetics of yoga with Dr Deana.